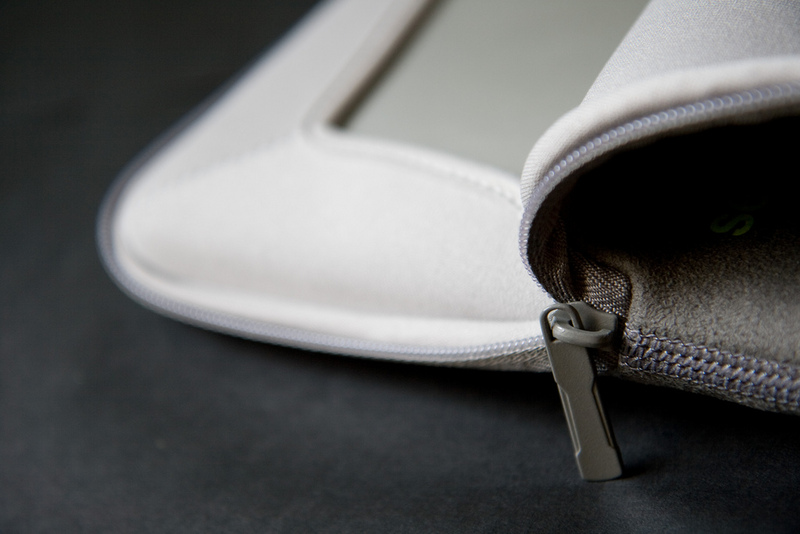 Tucano is an Italian brand of bags and accessories for digital devices. They produce all kinds of cases for different products and they are sold worldwide. Tucano has a reputation for good design and quality. 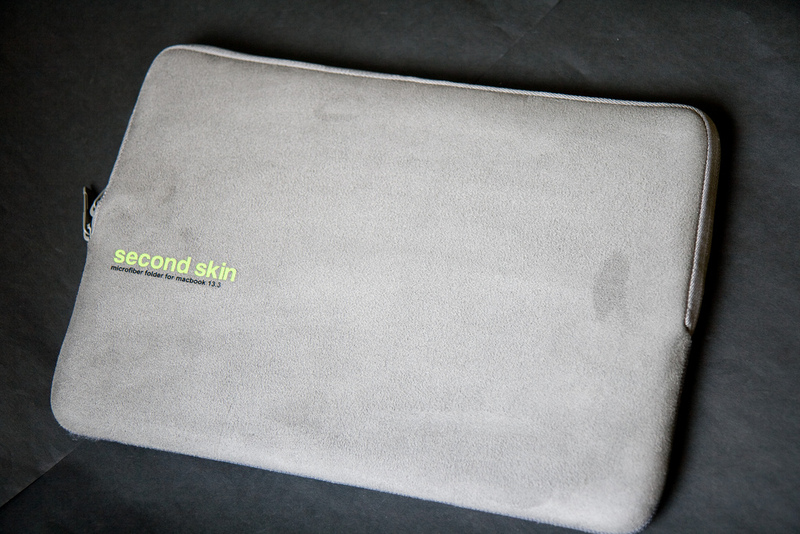 The product I’m focusing on today is the Tucano Second Skin Sleeve for the MacBook Pro. 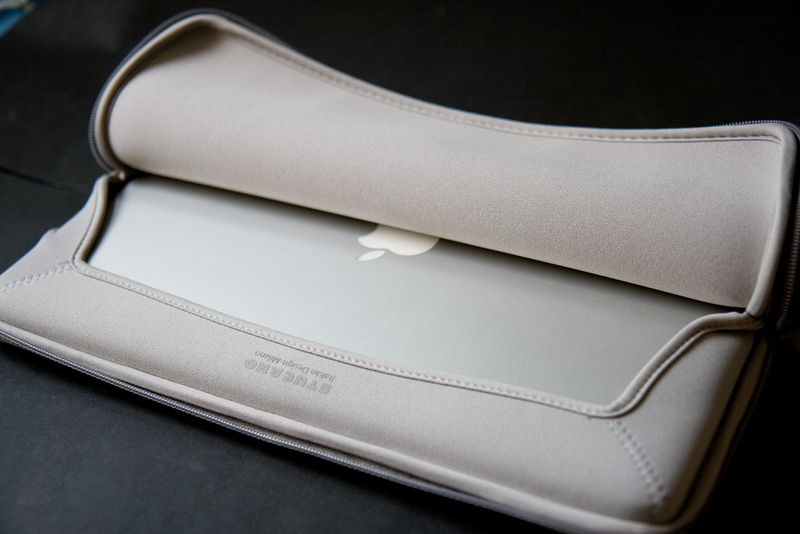 This is a Microfiber sleeve case available in four colors: Silver/Grey, Brown/Tan, Red and Yellow. 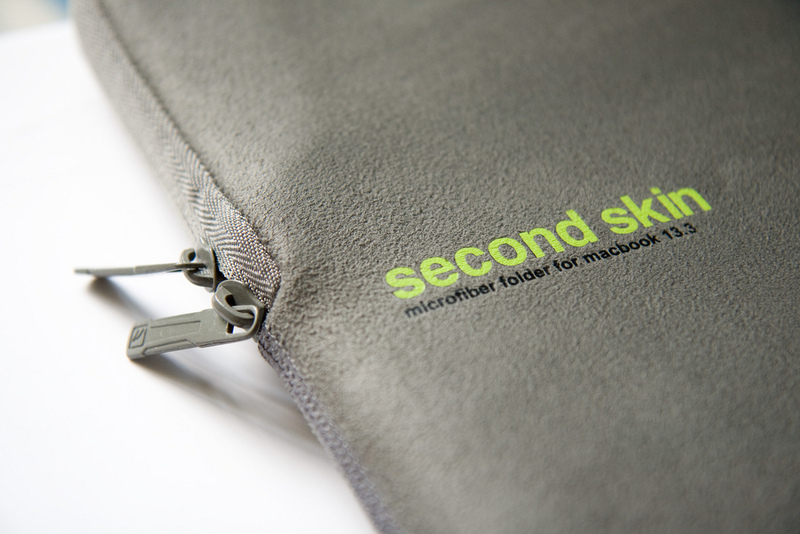 This ‘folder’ style sleeve is made of thick neoprene with a microfiber fabric suede touch. Let me put it this way: it feels lovely. It’s just so soft, it’s great. You really feel the sense of quality this product has to offer as soon as you touch it.